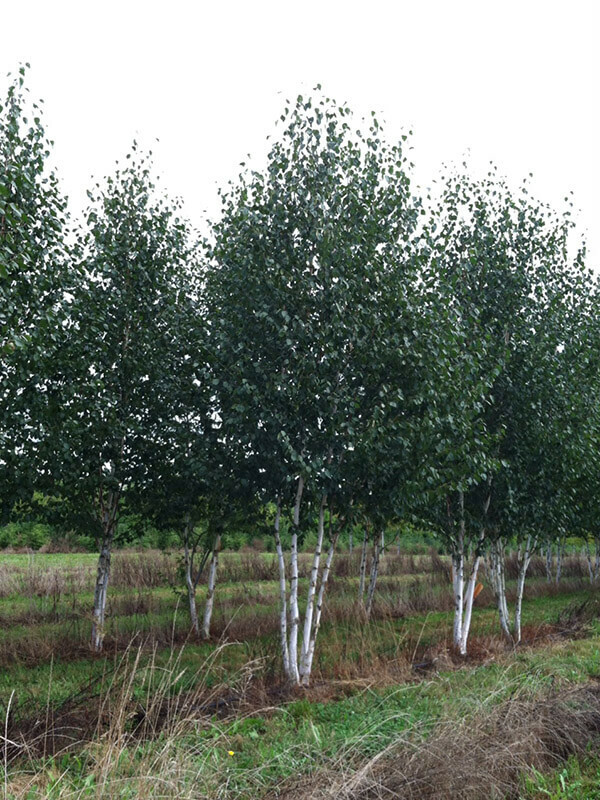 The Jacquemontii Birch is known for its white bark. 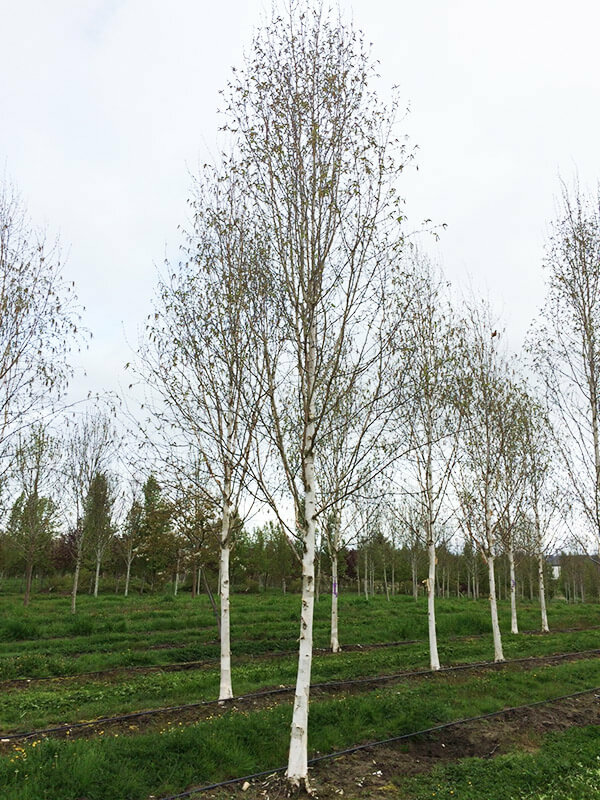 In fact it has the whitest bark of all the birches and it renews its color yearly by shedding outer layers of bark, which peel off in papery sheets. 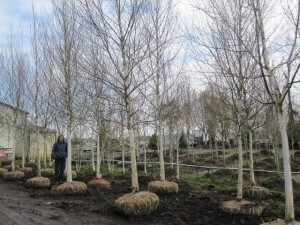 Accent the white bark by planting the Jacquemontii birch in front of dark evergreen foliage or by planting the birches in groups or rows. 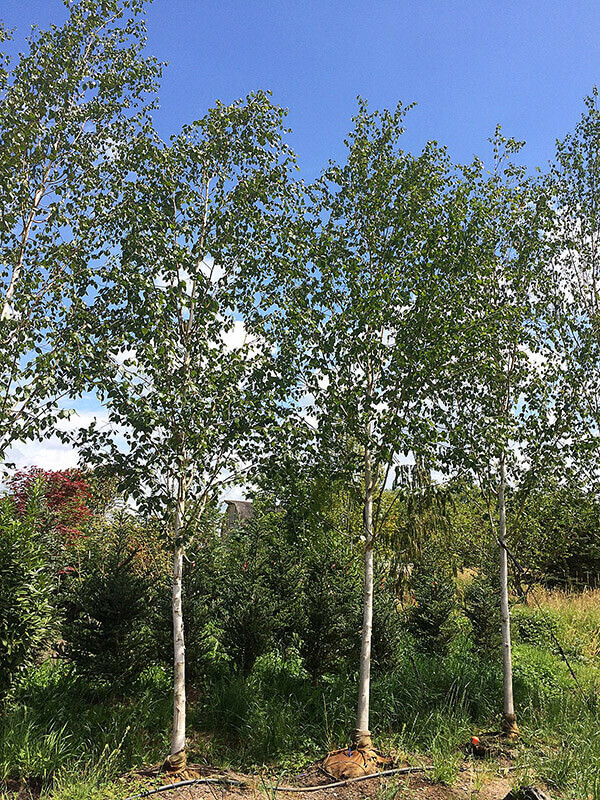 The Jacquemontii birch has yellow fall color, and it maintains its landscape interest in the winter due to its branch structure and showy bark.